Lou Bonnaffons is a native New Orleanian who received his Bachelor of Science degree in Criminal Justice from Louisiana State University in 1988 and graduated from Loyola University School of Law in 1992. For the first four years of his legal career, Lou worked for a small New Orleans law firm defending claims for the Regional Transit Authority. Lou also spent time working as a prosecutor for the Orleans Parish District Attorney’s office. Lou joined Leake and Andersson in 1996, and his practice has focused on transportation, insurance defense and general litigation. He was made a principal partner of Leake and Andersson in January 2000. Lou has a general civil litigation practice with an emphasis on transportation, insurance defense and premises liability. Lou serves as Louisiana’s catastrophic loss counsel for several trucking companies and insurers located throughout the country. Lou is licensed to practice in all Louisiana State and Federal Courts regularly representing clients throughout the entire state. Lou has successfully litigated complex cases involving multi-million dollar exposure and enjoys a prominent mediation practice. He has received Martindale’s highest AV rating for Legal Ability and Ethical Standards. 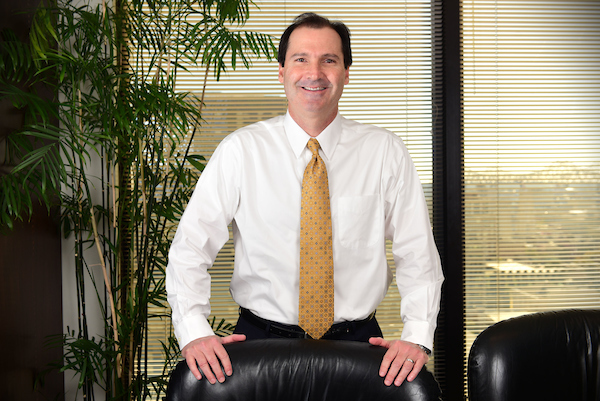 In 2014, Lou was recognized by his peers as one of the Top Lawyers in New Orleans as reported in New Orleans Magazine. Lou serves as a steering committee member for the ALFA International’s Transportation Practice Group and has offered presentations throughout the United States on topics involving Louisiana law. Lou was elected by his peers to serve on the Board of Directors for the Louisiana Association of Defense Counsel and is also a member of the Louisiana Motor Transport Association, New Orleans Association of Defense Counsel, New Orleans Bar Association and New Orleans Pro Bono Project. Lou is the Membership Committee Chariman of the Louisiana Association of Defense Counsel. Lou has been married to Christy Zitzmann Bonnaffons since 1992 and they are the proud parents of 3 children.